Hotcakes for a Hot Waist! Many, many things contributed to me gaining that extra 60 pounds I decided to hang out with a few years ago. Fast food and booze were up there on the list, but there was one little food friend that helped escalate the weight gain process. I am very honest with my love for breakfast food. IT IS THE BEST! I swear I could eat it every meal of the day and be happy, especially my beloved pancakes. 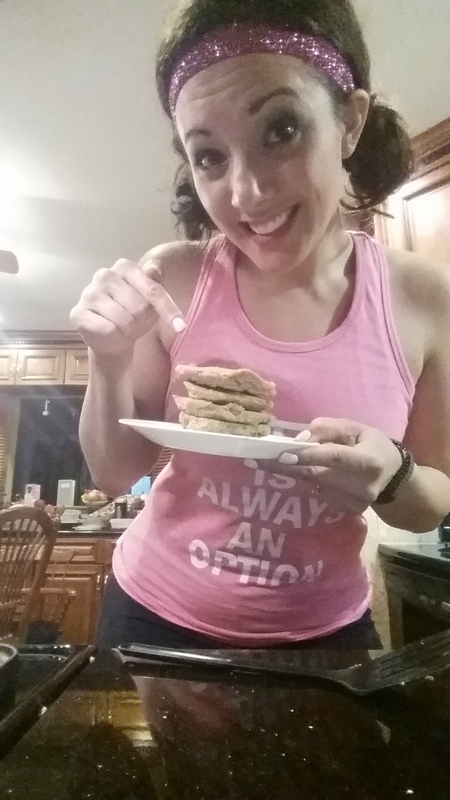 Who doesn’t love a pancake (if you don’t, I may need to put you on friendship probation….Im serious). 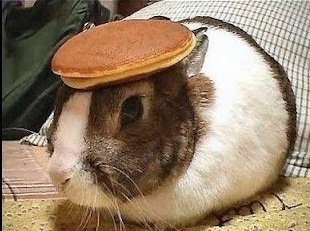 I love them so much that the very first profile picture I had on Facebook was a rabbit with a pancake on its head. Don’t believe me? Go look at my Facebook. When I started my weight loss journey, I knew I would have to seriously re-evaluate my eating habits. I was fine with cutting out the nasty processed food, but my heavenly little buttermilk breakfast buddy…..not so much. 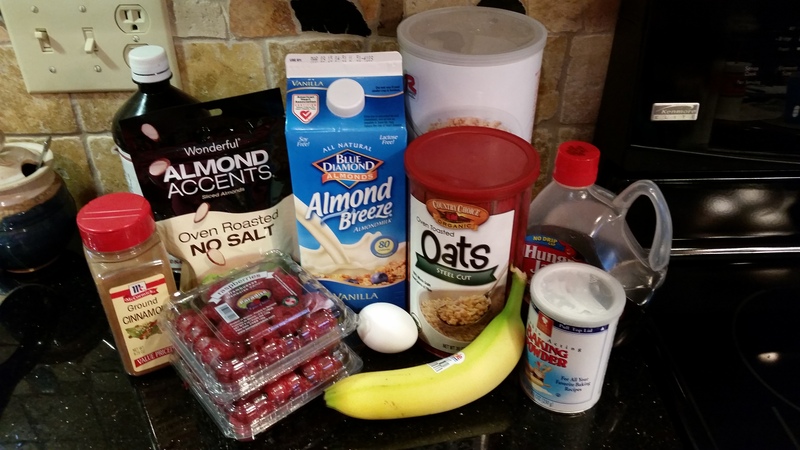 With time I learned there were ways I could still make pancakes in a healthy way and enjoy in moderation. 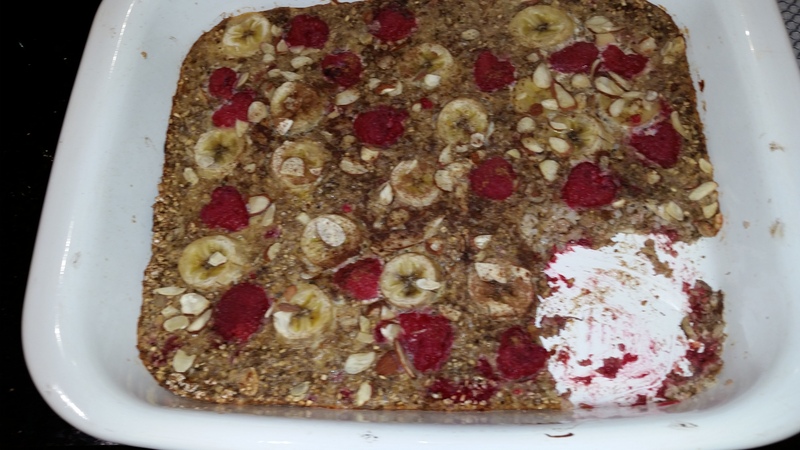 Let me introduce you to one of my favorite recipes: the Cashew Pancake! Here’s what you need to make them and the easy instructions, too! Here’s how to whip them up! Step 1: Pulse oats, cashews, cinnamon, and salt in food processor until fine. Step 2: Add egg, water, oil, and vanilla. Pulse again until batter becomes thicker. If you need to thin it a bit, add a tad bit more water. Step 3: Heat up your griddle/ pan/ water you are cooking these on (SIDENOTE: the cavemen used to cook their pancakes on rocks) and spray with Coconut Oil. I use this instead of Pam…so much healthier. Step 4: Cook like any other pancake, flipping when one side has browned and the edges bubble. Step 5: Top with favorite berries or syrup. Something to mention…..these are more solid than your fluffy buttermilk pancakes. Don’t think you did anything wrong when you flip them and realize they are a little sturdier. They still taste amazing. This recipe makes 10 pancakes, and a serving is 2. If you want to watch my girl Autumn make them, you can watch here. She uses the same coconut spray as me, so we are basically best friends. Plus the last time I saw her I got to clear a bathroom for her to use, which was pretty neat and made me feel like a jacked sequined security guard. That’s best friend status. I get really angry when people tell me that eating healthy is boring. Have you met me? Have I ever cooked/baked for you? It’s not boring, friends. I’m on a quest this year to prove to you that you can make delicious, healthy meals that everyone in your family will love. Last night I made a great make ahead breakfast option and had to share it with you all. I don’t know about you, but I am really a hot mess in the mornings. I wake up, do my routine, but I really don’t consider my brain to be awake until about 10am. 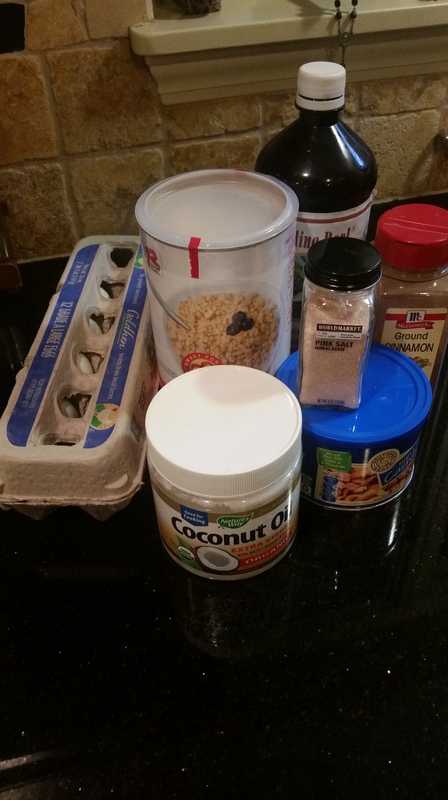 By that time I’ve had my cup of coffee and my Shakeology is down the hatch, so I have energy and am no longer who Kyle would refer to as “Morning Katie.” Because of the fact that I move like a total snail in the mornings, I love breakfast items that are quick, easy, and fall into my meal plan. 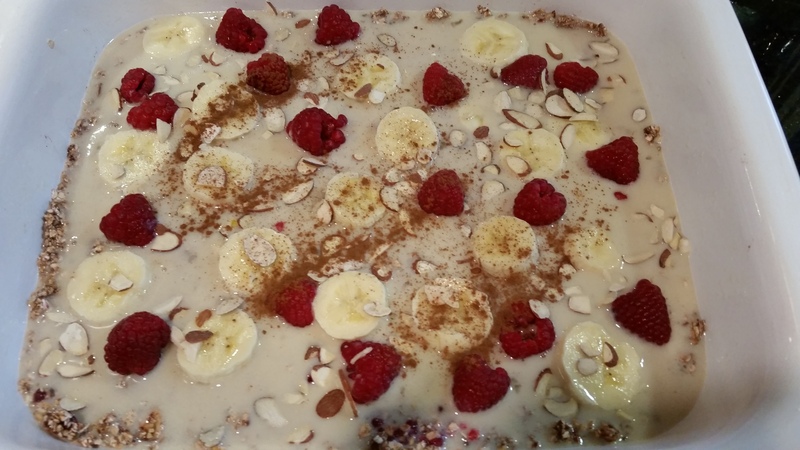 Introducing to you my “That’s Berry Bananas Oatmeal, Yo”. (If you don’t get the Yo reference, you need to spend some time with my man, Shaun T). Ingredients Needed to Make this delicious meal! 1. Preheat your oven to 350 degrees and spray a 9 X 13 pan. 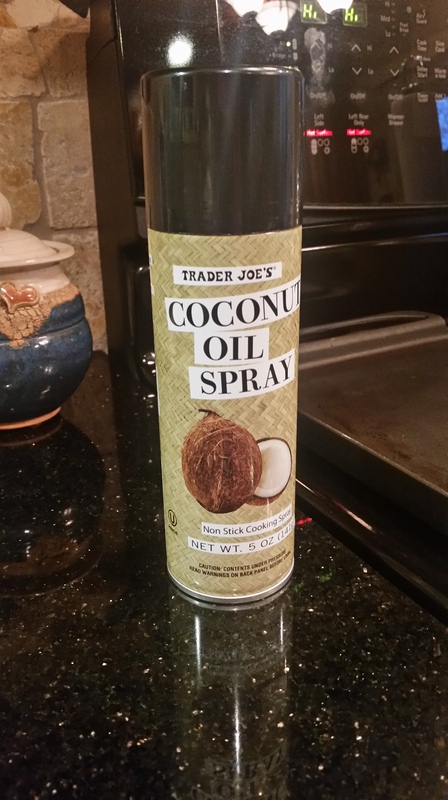 I use a coconut oil spray (make healthier choices). 2. 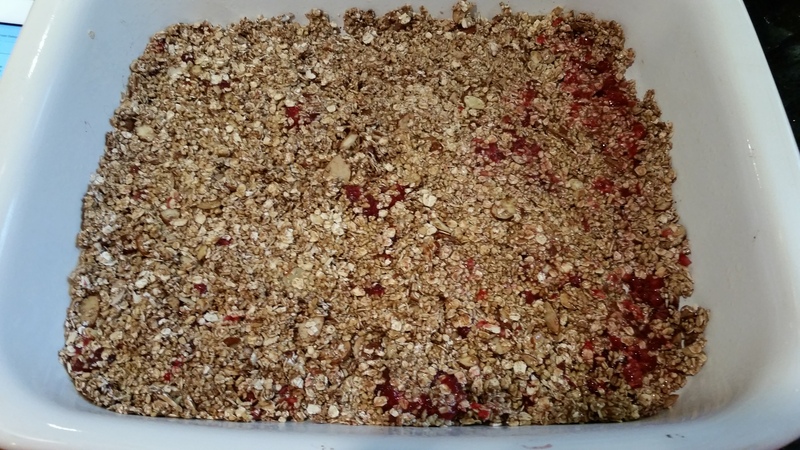 Mix together the oats, baking powder, syrup, half of the nuts you have selected, half of the berries, and cinnamon. If you aren’t into Steel Oats (I don’t know how that is possible), you can use straight up old fashioned oats completely, just modify the portions so you have 2 cups of those. 3. 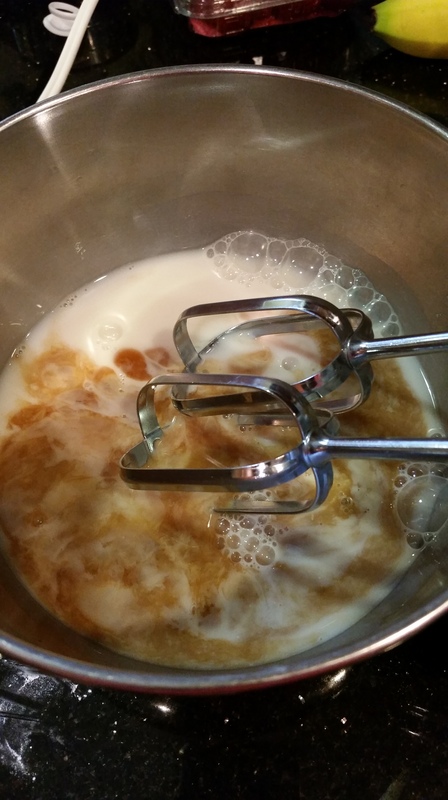 Mix egg, milk, and vanilla in a separate bowl. Word to the wise….the vanilla milk truly makes a difference. I don’t suggest using plain jane unsweetened almond milk…it just doesn’t have the same ZING. 4. Spread your oatmeal mixture into the pan. You want to make sure it is even and pressed into the corners. 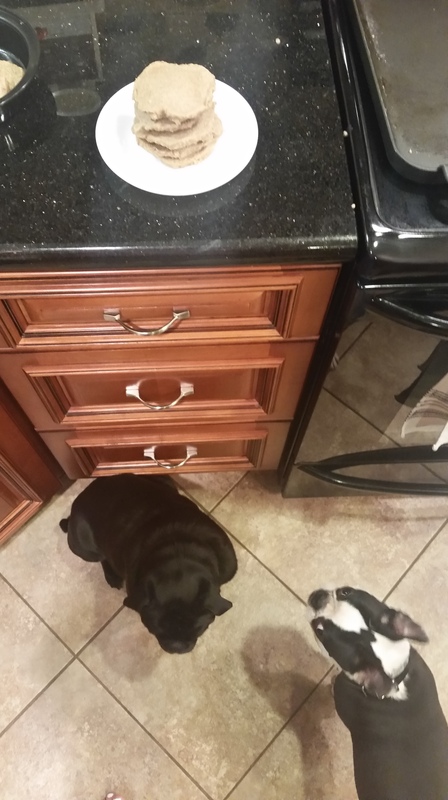 It will look thin, but don’t worry…this will expand in the oven. 5. 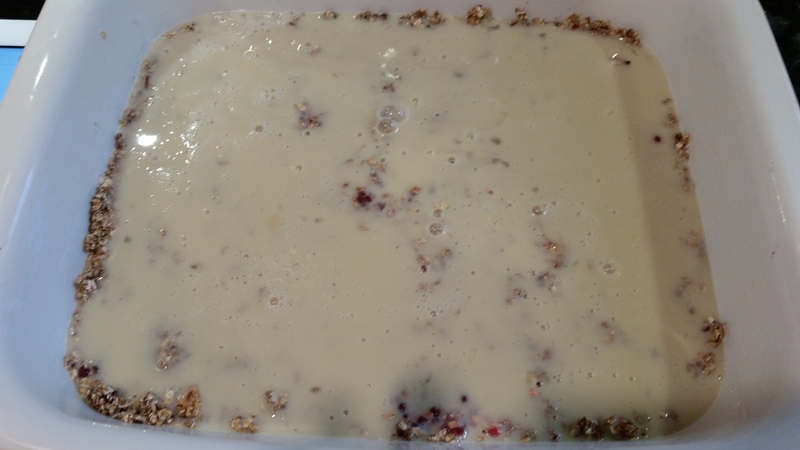 Pour the milk mixture over the flattened oatmeal mixture. 6. Top with your remaining berries and nuts. Slice banana and top as well. I got crazy and tossed a little cinnamon on it, too! 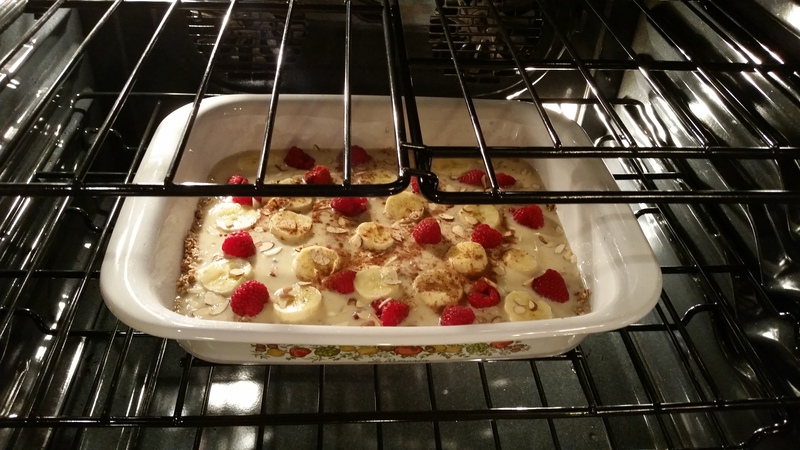 You can even put bananas in the base layer if you want! 7. Bake at 350 degrees for 35 minutes. Be prepared for your house to smell amazing. What a beautiful little number! Once removed, serve warm or you can refrigerate and reheat when ready. -Prep time is only about 5 minutes, so this is great to make the night before without slaving away in the kitchen. 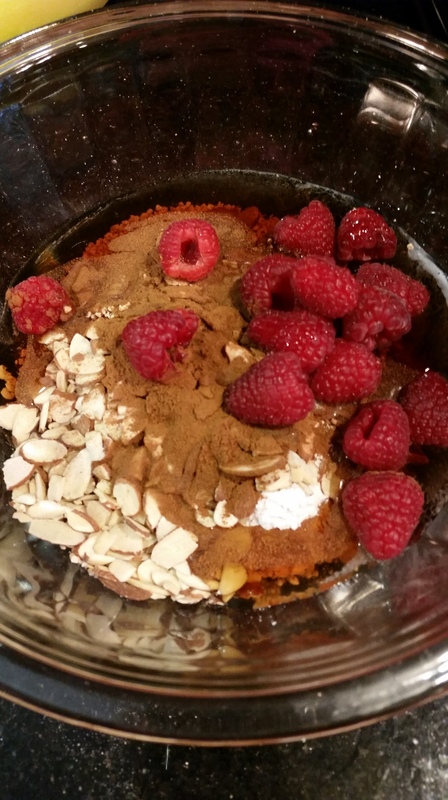 -This is totally 21 Day Fix Approved. One Serving is 1 Yellow, 1 Purple, and 1 Blue. I did not count the milk/egg because it is divided up into all of the servings, but if you are a stickler, I would probably mark it as 1/8 of a cup or so. -This is totally customizable. If you are making it for kids that don’t like these berries, make it with something they enjoy. You can use realistically any fruit, and you don’t have to use nuts if you are allergic, hate them, or just want to save your blue container for cheese. I hope you and your family loves this!